It should come as no surprise that insurance companies will do everything within their power to either avoid paying a settlement, or reduce that settlement by as much as they possibly can. They are, after all, a business that has a compelling desire to turn their own profit. Unfortunately for victims who rely on those settlements, dealing with the strategies that these companies use can be time-consuming and frustrating – unless you’re aware of what they are. Recognizing how insurance companies often treat claimants can help you successfully deal with them on your terms, instead of theirs. There are three strategies that insurance companies will often employ, particularly for those who have been involved in a car accident or other type of injury. When filing your own claim, you can benefit from working with a lawyer who has experience in dealing with insurance companies, as he or she will be know how to counter these tactics. Insurance companies may have a representative get in touch with you quickly after an accident has taken place, and will do their best to persuade you to take an initial settlement offer right away. This can be one of the most vulnerable times for an individual who’s been in an accident, as you may still be stressed, in pain, or otherwise traumatized. An insurance adjuster may offer you a large lump sum payment that is intended to help you to pay for your medical bills, but be careful; this isn’t something that they do out of the kindness of their hearts. The initial settlement often comes with a waiver that you’ll have to sign to get your money right away. If you sign that waiver, you could lose any rights that you have toward seeking damages in court. 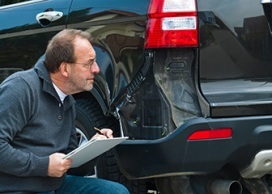 You could be signing away your right to seek full compensation. This one can fool a lot of people because it seems innocuous; the adjuster may ask you for an official statement about your accident, which includes any injuries that you may have sustained. While recording information about the accident can be quite crucial toward your case, it could actually undermine any further claim that you have. How? You may have a condition which was not fully recognized by a medical professional, or your condition could rapidly deteriorate over time. If you give a statement that says that you only had a set amount of injuries, and then later it is found that the damage is far worse, your initial statement could be used against you. You are not legally required to provide an adjuster with a statement, and if you are asked to do so, it is best that you decline. Speak to your lawyer before you give any official statements to an insurance representative so that you can protect yourself. Finally, you may be familiar with the sales pitch of a one time offer, as in, “if you don’t make your purchase now, you’ll never get another chance.” Insurance adjusters use this very same tactic by making a settlement offer and then stating that it is only on the table for a limited time. This is a pressure tactic, meant to intimidate you into accepting an offer that may not be in your best interest. Again, speaking with a personal injury lawyer is the best course of action. In most cases, that initial settlement offer will actually still be offered even as the suit is in the process of being settled. Don’t be intimidated into accepting an offer on a time-sensitive basis, or you may be losing out.